New bodies on underframes ex SFN sheep vans 8119, 8128, 8130-8131, 8138-8139, 8142, 8147 (order unknown). Fitted with auto couplers ex ON wagons 1973-74. All officially recoded from VFN to ENLF 7 Apr 1986, but all condemned two days later. 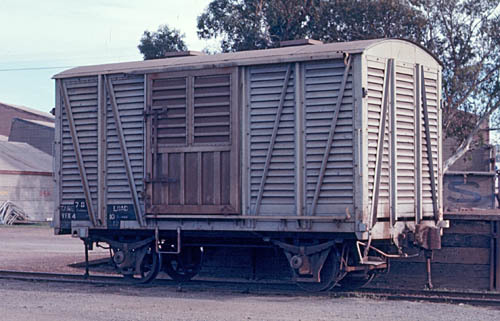 VFN/ENLF5 and 6 languished at Port Lincoln until donated to the Port Lincoln Railway Museum in 2004.